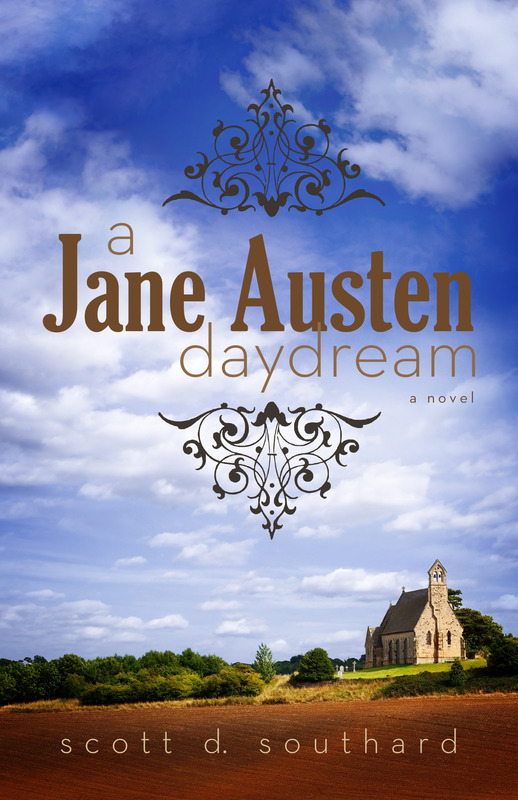 A JANE AUSTEN DAYDREAM is published by Madison Street Publishing and can be purchased in print and as an eBook for only $3.99. It is available for the Kindle, Nook, andKobo. Jane Austen was one of my two Mount Everests. The other Mount Everest in my adventures as a writer was Shakespeare’s Hamlet. Yes, I just said Hamlet. See, I’ve always been obsessed with that play and even attempted over a summer to memorize every line of it (I discussed part of that experience in this comedy essay) and I always had a unique vision for the play (and how many of its famous soliquies could be reinterpreted on stage or on the screen). I decided to focus on a screenplay, and like a swimmer jumping into cold water, over the course of one week (one), I took my decade’s worth of notes, a torn paperback copy, and did it. Yes, in my house and on my computer is sitting my screenplay adaptation of Hamlet. It is one of my lifetime dreams to see it made, but if it does is anyone’s guess. Whatever the case, I can look back on that mad week (with its large doses of caffeine, twenty hours of nonstop writing, and my mad acting out performance of it) as the literary equivalent of me standing on that snowy slope with flag in hand watching a new dawn. Hamlet, yeah I did that. But Austen? Whoa boy… That is when things get tricky. One of the things I absolutely love about being a writer is the initial spark of an idea. Sometimes they come to me as a nightmare (like my book MY PROBLEM WITH DOORS), a passing thought (like MEGAN), or as a question (MAXIMILIAN STANDFORTH AND THE CASE OF THE DANGEROUS DARE). A JANE AUSTEN DAYDREAM began as a giggle. Let me back up a bit and talk about how I met Miss Austen. Growing up I always had an extreme love of literature and books. I remember the year in high school where I read most of Dickens, and the time I took on Shakespeare in junior high. And for many of my years, I can’t remember a summer I wasn’t re-reading The Lord of the Rings. But Austen? Honestly, considering Jane at that time was like considering Little Women. Give me fantasy and a trusty sword, thank you very much, someone else can cry over the body of Beth and worry about finding love. This perspective changed for me in college. I attended Aquinas College in Grand Rapids, Michigan for my undergrad. Going to Aquinas was like finding a new home. It is not a big school, so I didn’t get lost in the crowd of students. No, all the teachers in the English department knew my name and I would stop and talk to all of them when I passed them in the hall. We were brethren. It was like a family of peers and it was a very sad day for me when I graduated; I have yet to have that same experience again in the world of academia or writing. One of the professors I became friends with was Dr. Brent Chesley. 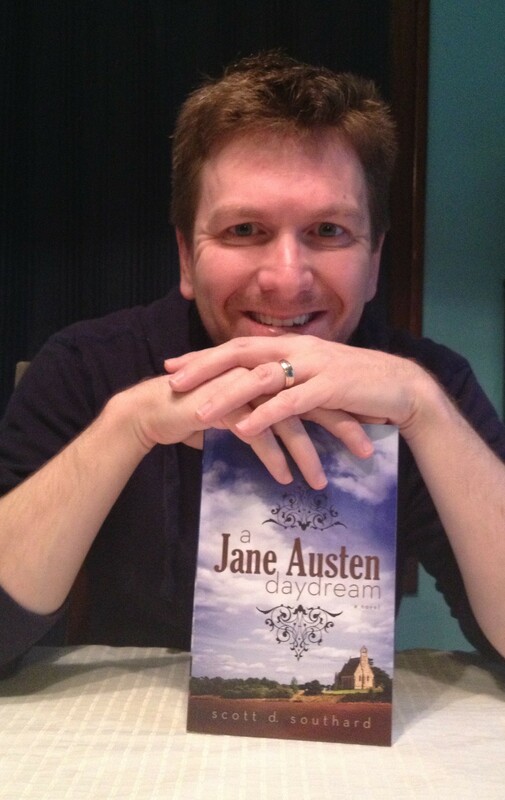 In many ways, I consider him a mentor (he actually got the dedication in my book MAXMILIAN STANDFORTH AND THE CASE OF THE DANGEROUS DARE, which I hope to release next month or a little later) and he is obsessed with PRIDE AND PREJUDICE. So it was in one of his classes that I was tossed a paperback copy of the book. I had to brave this world of manners and English society that I never considered before, but if Dr. Chesley liked it, it had to be good. There are three things that always floor me about Jane Austen- characters, dialogue, and wit. There are very few writers that can turn a phrase like her, wink to an audience without losing any of the suspension of disbelief. You just know that she loves telling the story just as much as you have reading it. It became quite evident to me, right from the first few chapters why she is considered such an important figure in literature. After the class was completed, I spent that summer reading all of her novels. Yes, I was enjoying the books (immensely enjoying them), but I was also like a painter visiting an art museum. In other words, I wasn’t just enjoying the art, I was also leaning forward, trying to figure out what “brush” and “stroke” the artists used to create their masterpieces. To return to that summer of Austen, I read a book on her life and I was startled to realize how little we actually know of her, and what we do was carefully chosen for us by her family. Her sister, upon Jane’s sad passing, destroyed much of her letters, and what letters we do have were discovered later. Even the biography written by one of her nephews feels a little contrived in parts; some Austenites even outright dismiss the book as an effort to gloss over the real Jane (who, I like to believe, personally, was all of the Bennet sisters). So, unless we find some hidden autobiography or a new stash of letters, all we have are those letters, her families’ stories, mentions of her by other people in her community, and her books. Why do I bring all of this up here? Well, based on all of this, it is pretty obvious that she did not have the life she dreamt of for her characters. She did not have a Mr. Darcy, there was no Captain Wentworth waiting in the wings… which brings up the concept of A JANE AUSTEN DAYDREAM. If Jane could have the life she wanted, the loves she dreamed of, what would it have been like? And in that innocent little thought hides the giggle and sparks of A JANE AUSTEN DAYDREAM. Jane Austen is alive and well throughout the world of literature. Sequels, adaptations, regency, historical fiction (I won’t discuss zombies), Jane in many ways is the queen overseeing the landscape of these genres. (By the way, if I attempted to put my book in a genre it would be “speculative historical regency fiction.” Ha!) And every writer who attempts to do something around Jane’s world makes their own decision how deep they want to go. In other words, some “sequels” may have dialogue and descriptions that sound just like Miss Austen, while others may sound so contemporary you can imagine them using cell phones. Some books make it obvious that they have done extensive research into her novels and their interpretations, others may sound like the writer only knew the book in passing. I’m not saying any of this is bad, it’s just something each writer has to do decide for him or herself how far they want to wade in. For me, I knew if I was to attempt a Jane Austen book, I knew I would have to go in deep…. Well, deeper than I have ever for another one of my works. I would want the book to feel like one of hers, but I would also want her own novels to live in the book easily (and yes, some of her characters are in the novel as “real” people; some accurately, others not). So I avoided this project. I avoided this project for years. The mountain was just too large for me. A JANE AUSTEN DAYDREAM soon became a dream project for me. It was what I would return to between novels and screenplays. It was the idea I would discuss with my friends and fellow writers when we shared the ideas “if we only had the time.” I couldn’t shake the idea, no matter how long I delayed and avoided it. Now and then I would make an attempt on the book. I have notepads filled with tried and failed outlines, character sketches. What turned the page around the book was my wife. My wife is an amazing reader, and while she is not a novelist herself, she has a great knowledge and love of literature. I love discussing books with her. And when we were engaged I remembered sharing the idea of A JANE AUSTEN DAYDREAM with her in passing. To be honest, I had no idea how she would react to the idea. She loved Jane Austen’s novels and the idea behind the book is a little controversial in many ways. I remember that when I started the conversation I had a lot of “buts” and “ifs” in discussing it. I was so nervous discussing this idea that I can even say I didn’t make eye contact with her. I know this, because when I stopped walking her through the plot at that time and the idea, I looked up at her and her eyes were wide, her mouth hanging open. That started six years of my wife asking me when I was going to begin A JANE AUSTEN DAYDREAM, why had I not written it yet, and on and on and on…. Each screenplay, each book would have a congratulations from her, followed by the inevitable question around whether DAYDREAM would be next. So, if you like A JANE AUSTEN DAYDREAM, a lot of the reason why you got to read it is because of her. She pushed me towards the mountain. This entry was posted in Books, Fiction, Life, Writing and tagged A Jane Austen Daydream, Aquinas College, Books, Creatinve Writing, Darcy, Ebooks, Fiction, Hamlet, Historical, Inspiration, Jane Austen, Literature, Little Women, New Book, Pride and Prejudice, reading, Regency, Shakespeare, Tolkien, Writing by Scott D. Southard. Bookmark the permalink. Congratulations! Very exciting, very cool. Am really happy for you! Thank you! I hope you like the book. Cheers! Congrats. I’m not an Austen fan however I’m guessing your interpretation will be unique. I tend to prefer Austen revisited to the original. One of my fears is that people will think this book is only for those that love Austen. Not at all. It is a very unique work. Granted, there are things that Austen fans will get a kick out of seeing (I like to think of it as a literary treasure hunt), but it should work for everyone who likes a good yarn. I hope you will give it a chance when it comes out. I can’t wait to read this book! Well done on getting your book finished – it must feel like such an achievement after so many years. Thank you! I hope you like it. It is a great feeling to reach this point with the book. Cheers! I love any book that is well researched and contains historical evidence that leads the reader to other time periods,”What Ifs,” wikipedia searches, and philosophical ideas that relate to the present. And the fact that I’m also a total Austenite has me dancing a jig and counting down the days to April 30. Well, this is very much a piece of fiction, and her books influenced it more than the actual facts. I adore Austen, though I have yet to delve far, far into her world (the time is coming, slowly but surely). I think it’s great that you take such pains to study what you write about, and work to pay homage to it. I would definitely like to read DAYDREAM. I have a somewhat similar story, though with a different classic. For years I have had an idea centering around Peter Pan, but for years I put off climbing that mountain – until one day I broke down and decided to finally devote my time to the project. It’s been a great experience, and there’s nothing like writing “that” novel. Best of wishes to you and your books! Thank you so much! I hope you enjoy Daydream and good luck in Neverland!